VpCI®-418 L/418 LM are non-foaming, heavy-duty alkaline cleaner/degreasers for cleaning industrial, oil field, commercial and marine equipment. VpCI®-418 L/418 LM are designed for power washing machinery, high agitation parts washers, and high-pressure spray washers. VpCI®-418 L/418 LM are non-flammable, nitrite-free, non-toxic, and do not present disposal problems associated with most phos- phate cleaners. 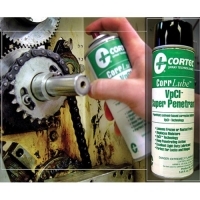 VpCI®-418 L/418 LM contain inhibitors to protect metal parts from corrosion after cleaning. They have a unique ability to remove dif- ficult deposits such as heavy hydrocarbons, greases, drawing and buffing compounds, and mill and machinery oils. 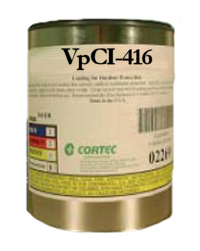 VpCI®-418 L/418 LM can be applied using power washers and sprayers. Package: 5 lbs. (2.3 kg), 50 lbs. (23 kg),100 lbs. (45 kg), totes and bulk.